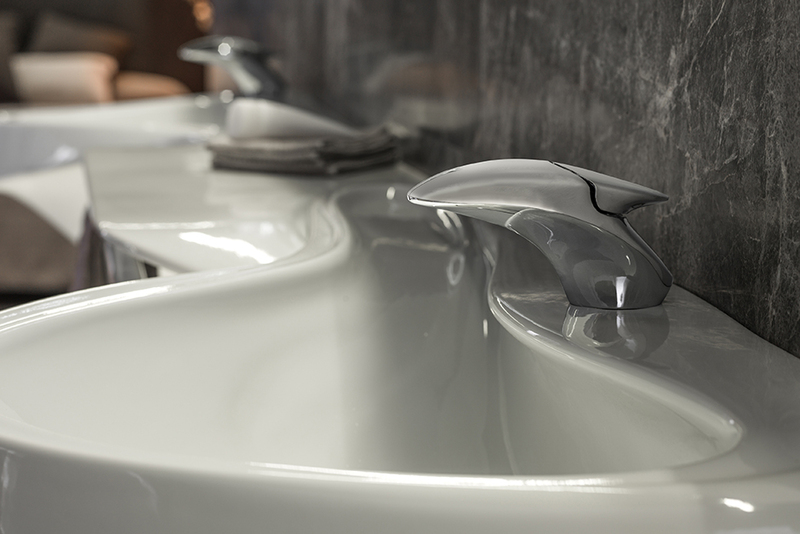 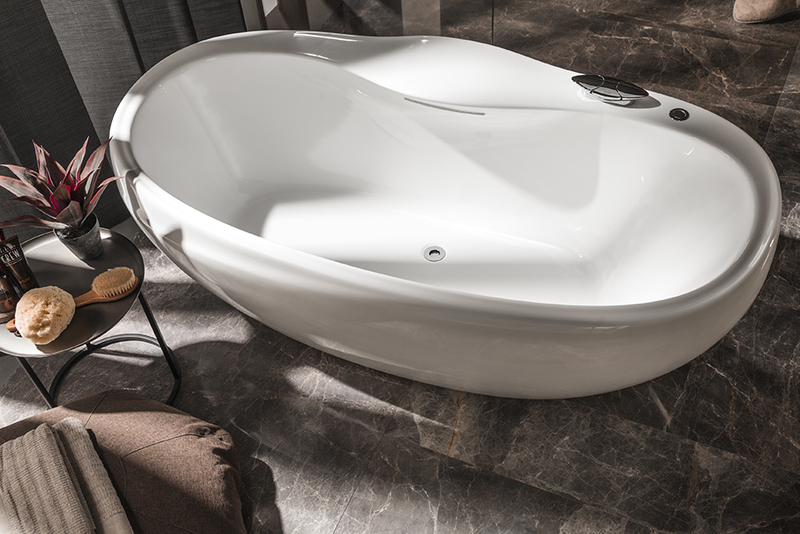 Fluid lines that evoke the feeling of water flow are the centerpiece of this revolutionary collection created by Noken and Zaha Hadid Design. 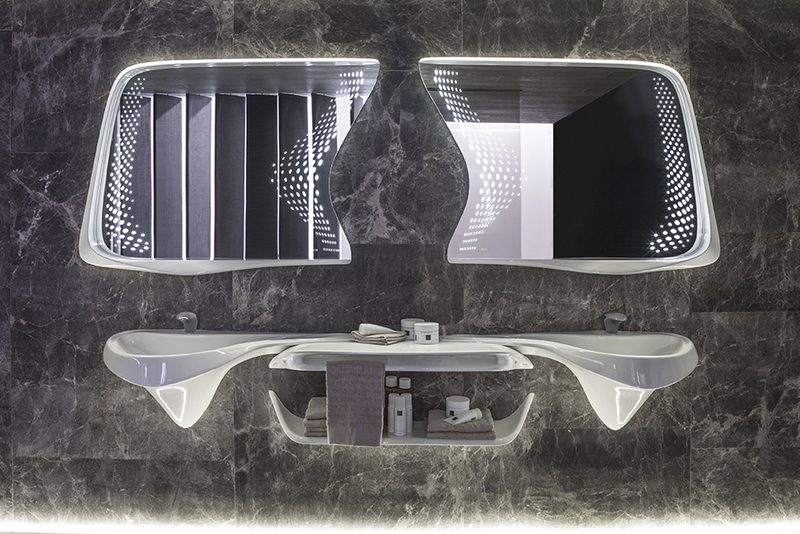 The collection features mirrors with LED light, wall hung basins with overflow that can be connected to either a wall hung vanity, a single top shelf with a towel rail, or a double top shelf with a towel rail. 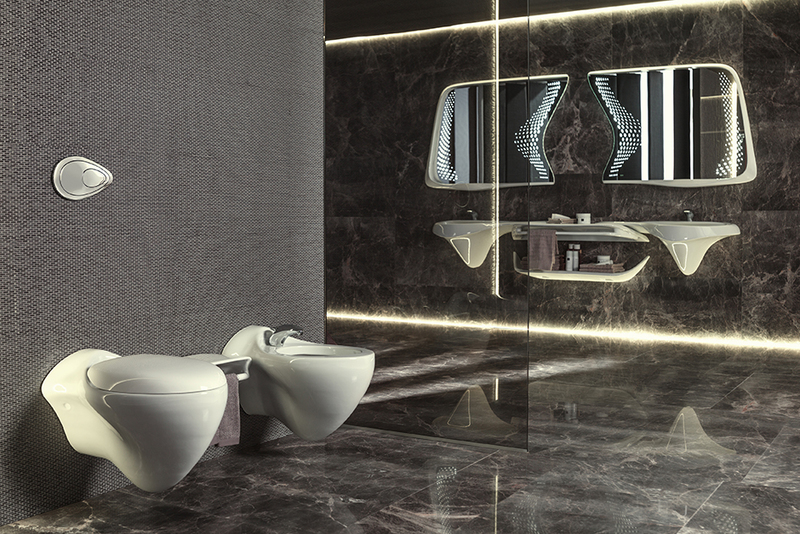 The collection also features a basin mixer without pop-up waste, a bidet mixer without pop-up waste, a shower column, wall hung bidet and pan, shelf for wall hung bidet and pan, double flush button and a bathtub with a deck mounted bath/shower mixer, pop-up hand shower that is flexible and has a waterfall output.